Today we will discuss about types of hammers. Hammer is widely used in mechanical industries to drive any thin metal part like nails etc. by an impact force. It is a tool which is used to create a sudden pointed force, which is further used to drive nails, remove unwanted metal parts form work piece and also in forging to create flat surfaces. 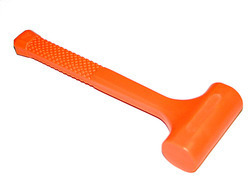 Hammers are also used in our daily routine to drive nail in a wall or in wooden work piece etc. 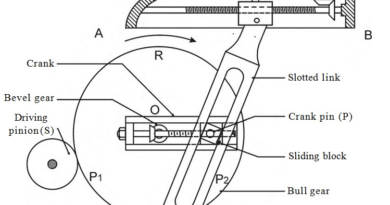 A hammer consist two main parts. The first one is handle and the other one is head which is a heavy metal piece mounted at perpendicular to the axis of the handle. There are many different types of hammers used in mechanical industries for different uses. Now we will discuss about it. 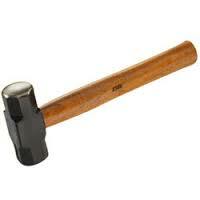 A hammer is a hand tool which is used to create sudden impact force. The impact of hammer depends on the size and shape of hammers and the power given to drive it. The hammer can be classified into many types according to its shapes and size but mainly there are only two hammers types. 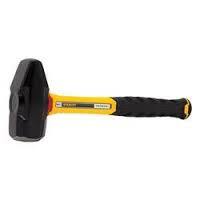 As the name implies hand hammer are powered by manually human hands. According to shape and size of heads and its different uses it has following types. As shown in figure, one side of head is shaped as ball and other is flat. It is mostly used to shaping rivets and metal work pieces. It may available in different sizes. 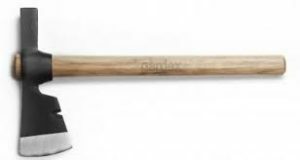 It is a tradition hammer which one side is a flat other side of head has a nails removing shape from wooden and other work piece. It is also known as carpenter’s hammer. 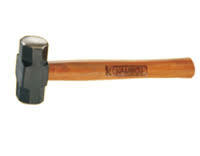 This hammer have one face is like ball and other face of head is like wedge. It is mostly used in domestic work where the peen is used to straight the nails. As a name implies it deliver very large impact force. 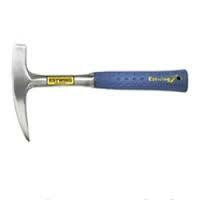 this type of hammer is upgrade version of drilling hammer with bigger handle. The handle size is about 14 inch and mostly used in locomotive and steam engine work. It is specially used to break or split rocks and mostly used by a geologist. One end of this hammer is knife edge and other one is flat surface. It is mostly used to cut or split wood. It has a large flat metal head joint with a large handle. It is used to drive wedges. It is a special type of hammer used to climb the rocks. It is also known as blacksmith hammer. 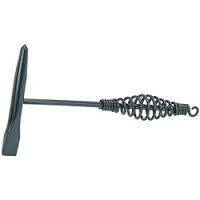 It has round face which is used to design or shapes a forged bar or sheet in blacksmith. It has a soft face of rubber, plastic or copper. It is used where steel face may damage workpiece. 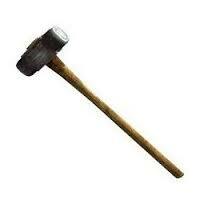 This hammer is also known as brick hammer. One end of the head is flat and other end has a chisel like shape. It is used to split bricks or concrete wall. This hammer is used to remove unwanted welded area form the work piece. It is also dissipates heat. It is a double face hammer and used to driving steel chisel in work piece. 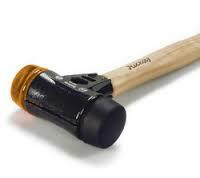 It is one of the types of sledge hammer which has smaller handle with light weight. It is mostly used in domestic work. It is used to remove dents form the sheets. It has a small curve anvil at one side of head and a sharp chisel type face at other side. It is mostly used in drilling in rocks with a chisel. It has a head weight almost 2 kg attached with a handle of 10 inch which is mostly drive by one hand. Other hand is used to hold the chisel. One end of this hammer head has a hatchback blade and other end a round head at other side. It is using at lathe machine is workshop. It is made by brass. It is used in flammable area to like oil or fuel fields. It prevents to spark generation during hamming. This types of hammers are driven by some of mechanical power like hydraulic power or by Gear drives. 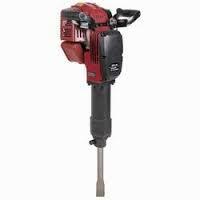 It is a rotary hammer which has a drill at one side which provides hammering action. 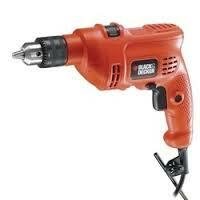 It is used to drill in brittle material. 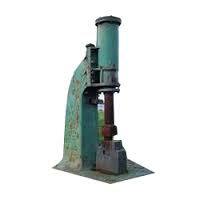 It is steam driven hammer and used to shaping the forged material. In this hammer the hammer head is attached to a piston which driven by the steam pressure. At the piston moves down it provide impact force which used to shape the material. It is driven by the pneumatic pressure of electro mechanical. It is used to dig out roads. 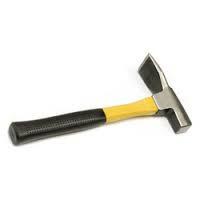 Today we have discussed about types of hammers. If you have any query regarding this article, ask by commenting. Subscribe our website for more informative articles. Thanks for reading it.